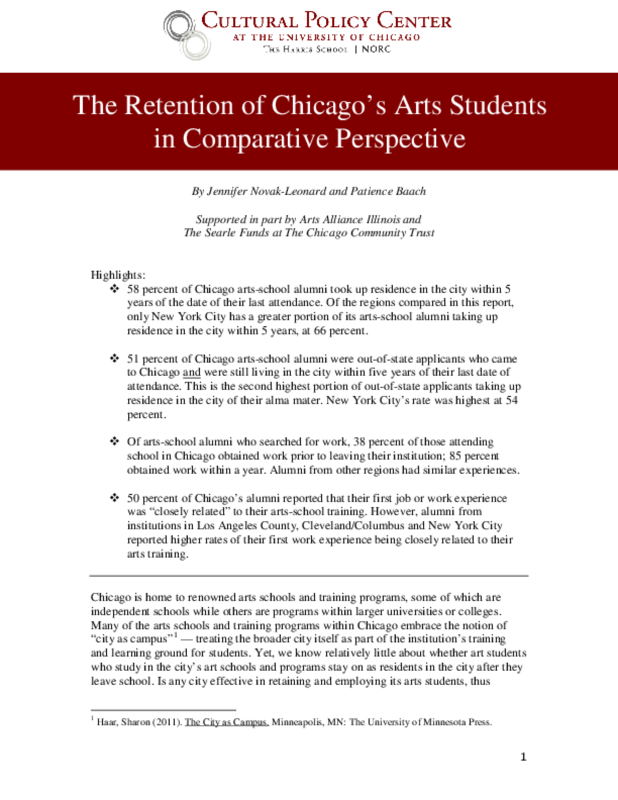 Chapin Hall Center for Children at the University of Chicago examined the scope and character of non-school arts opportunities for young people in Chicago. Whereas earlier studies have looked at programs deemed exemplary or those that focus on "at-risk" children, this was an effort to take stock of all programs for children within a geographic area. 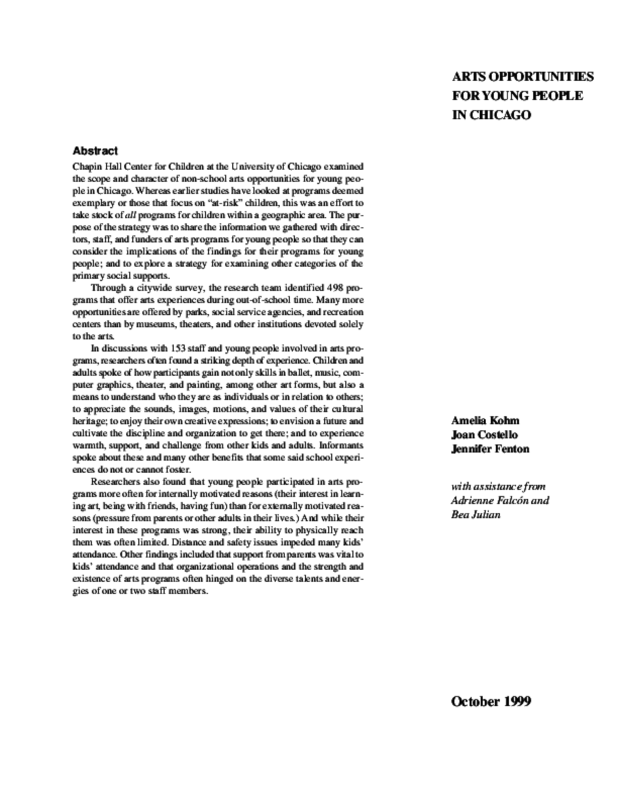 The purpose of the strategy was to share the information we gathered with directors, staff, and funders of arts programs for young people so that they can consider the implications of the findings for their programs for young people; and to explore a strategy for examining other categories of the primary social supports. 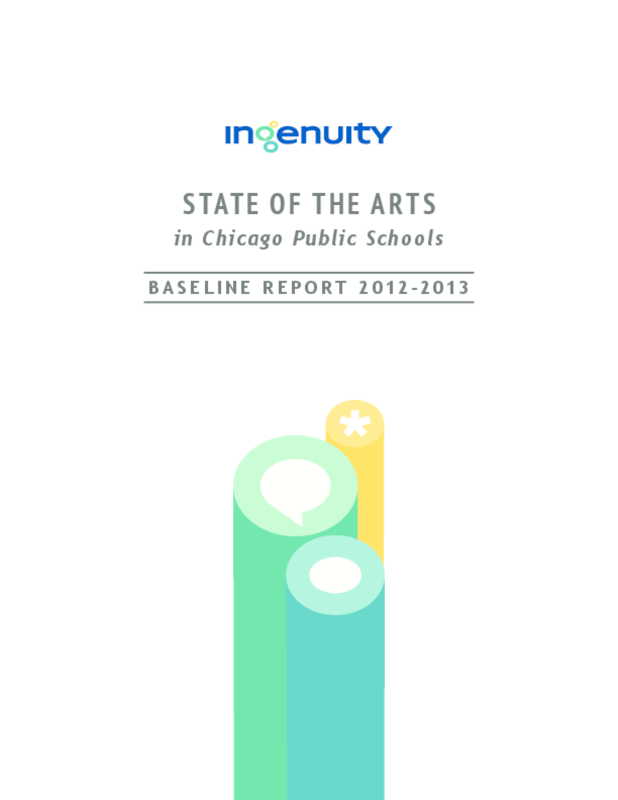 Through a citywide survey, the research team identified 498 programs that offer arts experiences during out-of-school time. 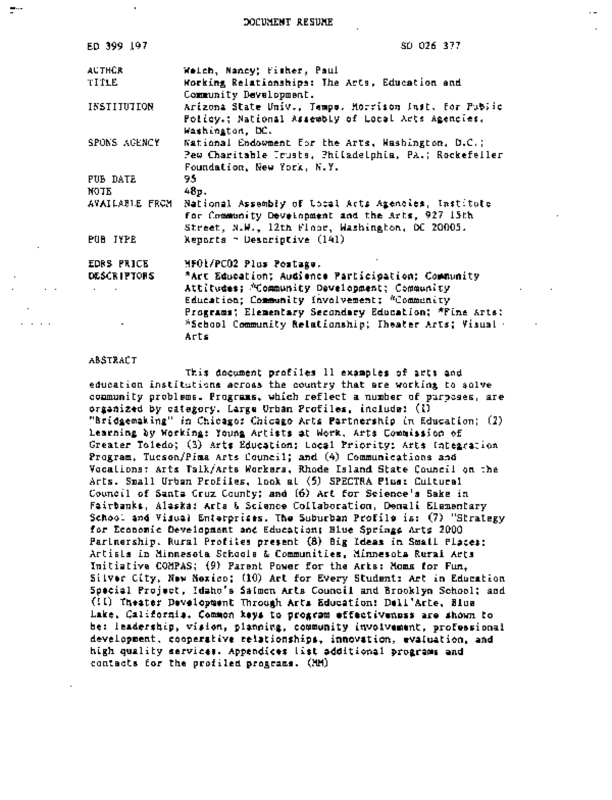 Many more opportunities are offered by parks, social service agencies, and recreation centers than by museums, theaters, and other institutions devoted solely to the arts. In discussions with 153 staff and young people involved in arts programs, researchers often found a striking depth of experience. Children and adults spoke of how participants gain not only skills in ballet, music, computer graphics, theater, and painting, among other art forms, but also a means to understand who they are as individuals or in relation to others; to appreciate the sounds, images, motions, and values of their cultural heritage; to enjoy their own creative expressions; to envision a future andcultivate the discipline and organization to get there; and to experience warmth, support, and challenge from other kids and adults. Informants spoke about these and many other benefits that some said school experiences do not or cannot foster. Researchers also found that young people participated in arts programs more often for internally motivated reasons (their interest in learning art, being with friends, having fun) than for externally motivated reasons (pressure from parents or other adults in their lives). And while their interest in these programs was strong, their ability to physically reach them was often limited. Distance and safety issues impeded many kids 'attendance. Other findings included that support from parents was vital to kids' attendance and that organizational operations and the strength and existence of arts programs often hinged on the diverse talents and energies of one or two staff members.